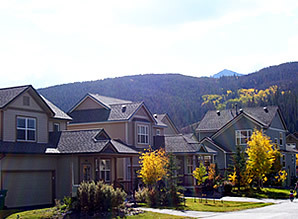 A 50 unit Subdivision located in Summit County Colorado. Buildings consist of attractive single family homes and duplexes. Association dues are collected monthly to cover trash removal, snow removal, community space maintenance and conformity. The Farmers Grove Board of Directors will meet on Tuesday, June 4, 2019 at 10:00 am in the form of a spring drive through. The Farmers Grove Annual meeting will be on Thursday, October 3, 2019 at 7:00 pm at the Senior and Community Center in Frisco. Jarelle Drive is currently being maintained by the County.